Sell or let your property from £99. Estate agency is changing. I offer a personalised home selling service, with a revolutionary online platform. A guide to the town of Herne Bay, Kent. Info on properties, schools, restaurants, things to do and see. A show all about Herne Bay where I interview local business owners and residents. My name is Haydon and I’m passionate about marketing, entrepreneurialism and the internet. I love to help individuals and organisations achieve their ambitions; should it be to succeed in their goals, sell their property or generate more income. Please take the time to browse around the site. You will find lots of useful information for you and your business. e.g. checkout my "Herne Bay Area Guide" and my "Herne Bay Advertising Manual"
For more information about me, visit the About Haydon page or read the blog. Helping you to succeed, online, offline and in life! Haydon Rouse has been selling products and services online for over 20 years. 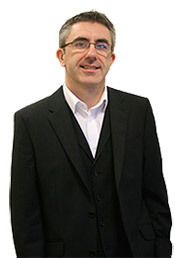 Based in Herne Bay, Kent in the UK, he has a passion for anything web and enjoys the competitive nature of growing businesses, beating the competition and making sales. I want to work with individuals and companies who are equally passionate about business and making a difference. My team and I provide a service that gives customers results. of all new property searches begin online!! It therefore makes sense to hire an online marketing expert to sell your property. Contact me to discuss how I can sell and market your property. Are you looking for an estate agent that covers Herne Bay, Whitstable and Canterbury areas? Someone trustworthy and professional that can market and sell your property online? I can sell your property for a fixed fee and list your property on the major property portals like Rightmove and Zoopla - probably at a cheaper price than the high street agents. Do you need help with marketing a product, event or service? Do you need a complete web site designed? Perhaps you're starting a new business venture? Give me a call! I love chatting to and helping new business owners. I have a wealth of business knowledge and experience that I'm willing to share. More information about my web design service. Lets talk. Do you need help with your social media marketing? Let's have an informal chat about what you want to achieve and I can design you a marketing campaign especially for your business. Social media marketing services. Very good and prompt great to work with.I don’t have to worry about anything If there are any problems they’re dealt with.He can deal with any problems that arise and give you a package that will be just right for your business.It’s just where I want it. Thank you so much for your help and that it’s really perfect, exactly what I was looking for..the colours style everything. Haydon Rouse has been professionally engaged with my organisation in the capacity of various business administration services to include the provision of financial, marketing and ICT expertise. He has also provided various business mentoring services to assist in increasing client interface thus improving the business client base accordingly.